I took this photo on my morning walk. What do you see when you look at it? I see a million wishes! In fact, one of my wishes came true today 🙂 but you’ll have to wait til the next post to find out what it is! I pulled this card today. 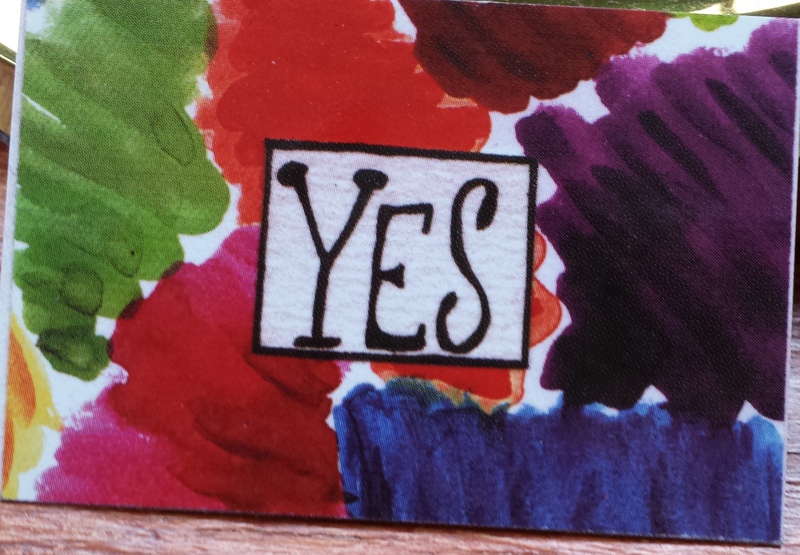 It reminds me to say “Yes!” (in a resounding voice) to possibilities, opportunities and dreams. It also reminds me to keep my heart and mind open to opportunities I wouldn’t normally consider. I realized though that the real joy, for me, lies in wondering…What are the amazing opportunities and possibilities that are seeking me out today? I could almost clap my hands together in glee at the thought! I’m so lucky. I have wonderful friends. Last week, two of them brought me these flowers to celebrate my latest successes: the design and production of my new pencil case, and the launching of my shops on Etsy and on ArtofWhere. Friends who support and encourage your dreams and creativity are such a gift, aren’t they? Who motivates you to keep dreaming and creating?